During my freshman year I took a biweekly OHG American History course, which was taught by my dad, Jim Bizer. For this class we used the Pentice Hall American- Pathways to the Present text book by Cayton, Perry, Reed, and Winkler. The class ran through both semesters. Between each class meeting we would read and take notes on two chapters; the number sometimes varied depending on the length and subject of the chapters. Also, as part of our assignment we all answered the assessment questions at the end of each section. In class, we would review the main topics from the chapters and then open up a discussion about what we found to be the most interesting or surprising thing we had learned. We would also talk about parallels we see between current society and the history we were studying. 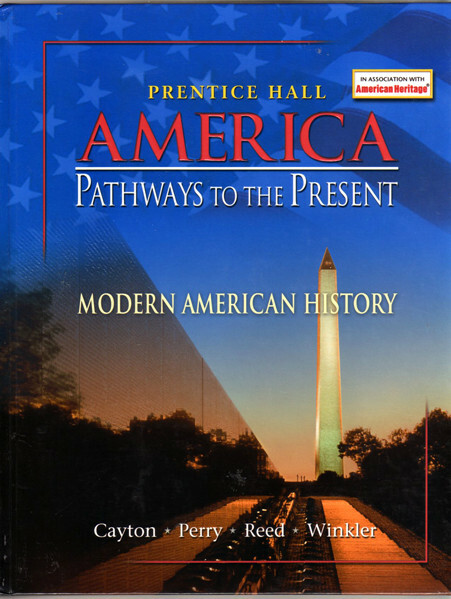 By thoroughly analyzing and taking notes about the textbook, completing the assignments, and participating in class, I gained a lot of knowledge about American history. I learned about the colonization of the new world, the declaration of independence and the revolutionary war, the creation of our constitution, the industrial revolution and expansion, the civil war and subsequent reconstruction, America’s role in world war I and II, the cold war, the Vietnam war, the civil rights movement and era of activism, and the more current struggles between conservative and liberal politics.